Indeed, your quest for the best undermount kitchen sinks brought you here so we’ll get right into it. We suppose you’re remodeling your kitchen. You could be building a new one too. Either way, it makes perfect sense to consider an undermount sink over any other type. For starters, these sinks are sleek, so you’ll be adding a fresh feel to your kitchen. Besides, they’re easy to clean not to mention the convenience of placing your faucet in any location. We could go on and on about the benefits of undermount sinks, but we’ll stick to what led you here in the first place, for now. When scouting for an undermount sink, you’re better off with one that can handle your needs in the kitchen. In fact, it is for this reason that we’ve included an in-depth guide in the second part of this write-up to let you know how to spot a good model. Other than that, we’ve critically analyzed five of the top-rated undermounts kitchen sinks on the market in a bid to find out what makes them special. These wash-space workhorses are stylish, functional and affordable. Take a look! Kraus believes in the power of design, and this sink is testament enough. With dimensions of 30” L x 18” W x 10” D and a minimum size cabinet of 33 inches, the Standart PRO is a brilliant choice if you’re in a model that can fit your largest skillets, baking sheets, and roasting pans. And that’s not even the best part. 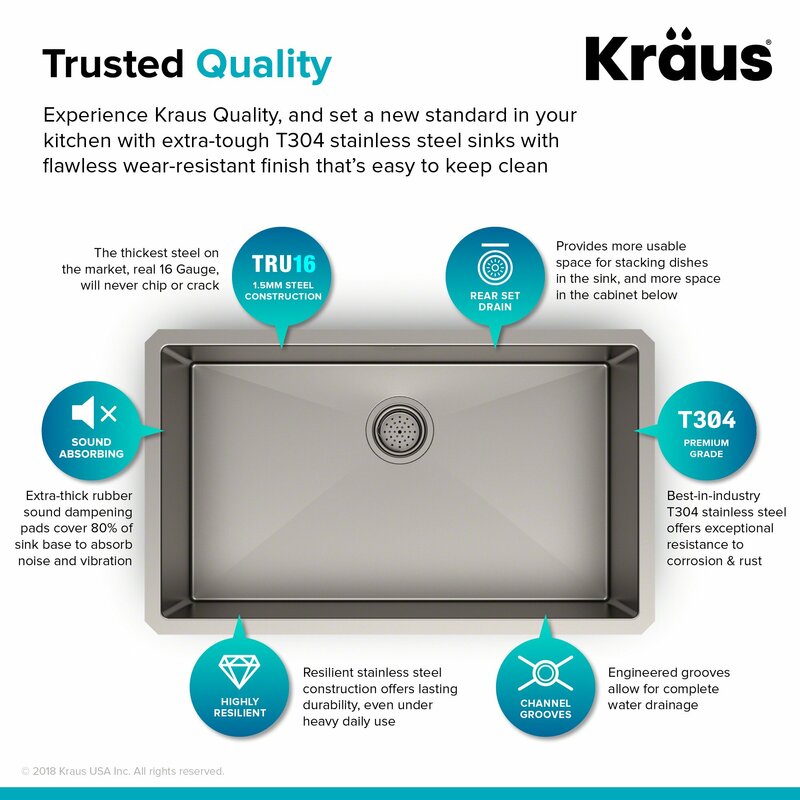 If there’s anything to tell you that Kraus is one of the best kitchen sink brands, then it’s got to be this unit’s stellar build. It features a dent-resistant T304 stainless steel body with a TRU16 real 16-gauge (or a thickness equivalent of 1.5mm). What this means is that once you’ve installed this sink, you can as well forget about replacing it for years. Apart from the five-star strength and durability, this thing is also scratch and stain resistant. How about that! What’s more? The Standart PRO is super easy to clean and will never corrode. And then there is the satin coating to ensure that the sink blends in perfectly with your kitchen’s décor. The last thing you want in your kitchen is a sink that clatters when you’re cleaning your dishes and cutlery. Well, that shouldn’t be a cause for concern with the Standart PRO. On the contrary, it is one of the quietest undermount sinks you can get thanks to the non-toxic SoundGuard undercoating. Moreover, the ultra-thick pads covering more than 80% of the sink helps keep the noise at bay. This model by the renowned Frigidaire offers everything you’d expect in the best undermount kitchen sink from robustness to functionality. It even has a lifetime warranty attached to it. By extension, this tells you that its manufacturers believe in the quality their sink has to offer and are ready to stand by it. Here’s what caught our attention. First, this sink is compatible with a 36-inch cabinet. More specifically, it is 31.5 inches long and 18.5 inches wide with a depth of 30 inches. It works with granite, quartz, marble or any solid countertop, making it one of the most adaptable undermount sinks on the market. The Frigidaire is as attractive as they come so you a bet that it’ll closely match your unique, high-end appliances. It features a beautiful 10 mm radius corner so you can clean it in a cinch. And just so you may know, this sink has a standard size drain opening so you can use it with any standard size garbage disposal unit. It comes with dishwasher safe bottom grids with detachable feet to make cleaning easier. To top it off, the 16 gauge stainless steel construction makes this sink robust enough to withstand the rigors of everyday use. This brand exclusive tech enhances the Frigidaire’s heat retention ability, keeping your water hot for longer. Additionally, it dampens the sink’s vibrations to ensure that your workspace remains quiet as you prepare meals. That way, you can have a conversation or enjoy some entertainment with zero interference. 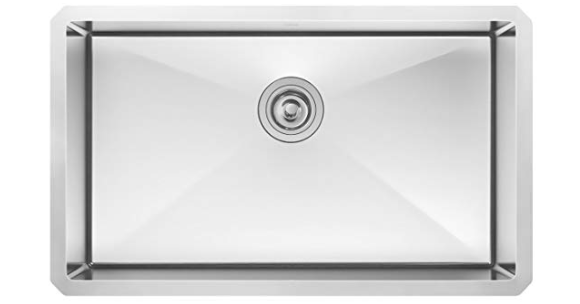 A bestseller in its own right, the ZUHNE Modena is a professional undermount sink that will make an excellent addition to your kitchen. 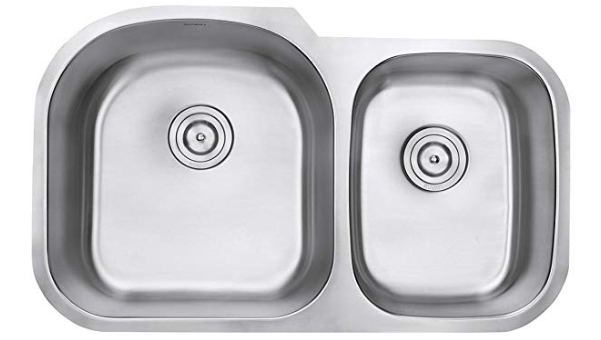 Affordable than the two options we’ve reviewed above, it boasts up to 25% more steel in comparison to other sinks in its class. Of course, that means it won’t bow, warp or dent. We recommend it if you have a busy kitchen or are scouting for a model that can withstand heavy use. Here’s what makes this sink stand out. Make no mistake about it; Modena may not be the most expensive sink on this list, but that doesn’t in any way compromise its excellence. It features T304 18/10 stainless steel sourced from Posco, a global leader in quality steel. It is uniform all round with a thickness of 16-gauge from top to bottom. For those asking, it is rust and corrosion resistant so you can flush boiling water and ice without worrying. The ZUHNE Modena touts precision-engineered corners and curves to allow you to make the most out of the work area. The base is not only slanted but also has 3.5-inch drainer that fits into most waster disposers and strainers. Meanwhile, the premium satin finish brings out a natural, soft, soothing glitter to add some artistry into your kitchen. One of the most common gripes with undermount sinks is the inability to defy scratches. The Modena uses non-toxic, lead-free material to assure you about the safety of use. On top of that, its production process has an ISO certification. Also, ZUHNE meets all the safety standards set by ANSI, UPC, IPMPO, and cUPC. The Ruvati is like no other sink on this round-up. It is the only double-bowl models, making a perfect pick if you’re in search for added functionality. 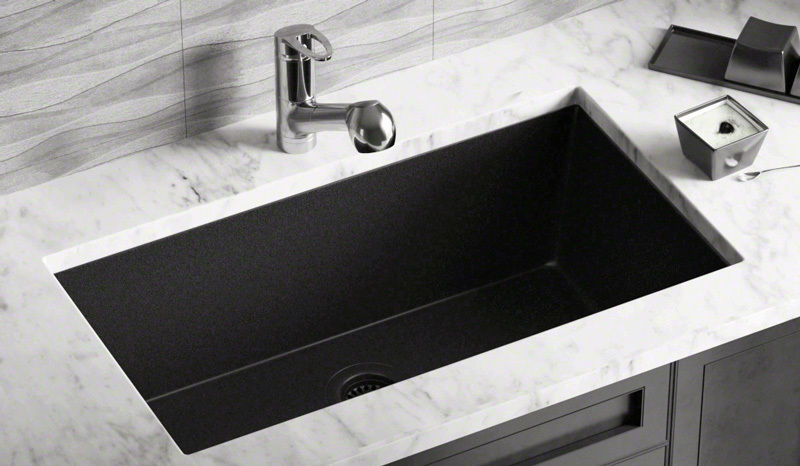 And, unlike other sinks made using stainless steel, this one is 80% natural quartz for unrivaled resilience. Those who’ve used it say it has the feel of real stone. Here’s a closer look of its most notable highlights. The Ruvati VM4R600 withstands not only high extremely hot temperatures but also sudden heat fluctuations. In essence, what this implies is that you can place your roasting pans and pots on it without chipping off the coating. It is naturally hygienic too, complete with a soft to the touch surface that is resistant to grime and dirt. It only requires a few wipes to leave the sink sparkling clean. Did we mention that it stands up to grease, wine, and coffee? 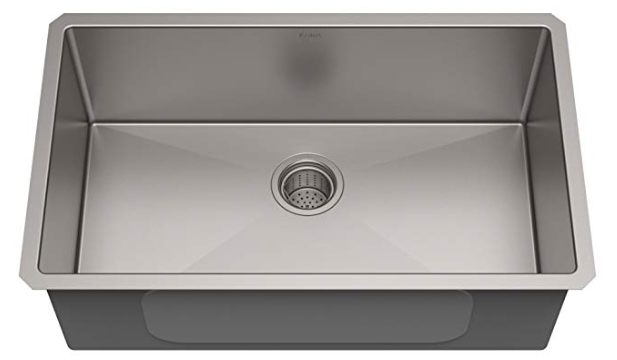 The VM4R600 features a gently sloped bottom for quick draining. Besides, the drain is strategically located at the back to increase the sink’s workspace as well as the storage room in the cabinet below. And oh, you can use it with any garbage disposal adapters. One of the most attractive aspects of this sink is the fact that it allows you to try out multiple installation styles. You can fix it as an undermout for a smooth transition from the sink to your countertop. Or, you can choose to drop it into an already existing opening on your counter. Bring timeless beauty into your kitchen with this rustic undermount sink by Elkay. All-white, it strikes a perfect balance between traditional and modern style, making it ideal for any kitchen. And if white doesn’t do it for you, you can always choose between the other nine colors including bisque, black, mocha, pecan and greystone. Here’s a why we vouch for it. The Elkay measures 24.6 x 18.5 x 9.5 inches, making one of the biggest undermount kitchen sinks on this roundup. It seeks to provide you with enough space to wash and stack your dishes uninterrupted. In fact, with such room, it will serve you well in a commercial setting with a lot of dishwashing to do. And the beauty of it is that it is easy to clean and stain resistant. The Elkay is a resilient as they come. It is impact and heat resistant thanks to the quartz sand construction. In other words, you can count on it to handle chipping and the bang that comes with grueling everyday use. Speaking of heat resistant, this thing can withstand up to 535 degrees Fahrenheit of heat. This sink surface is incredibly smooth and nonporous. Essentially, this means that liquid and foods won’t stick on it, thereby preventing growth and spread of bacteria. Other than that, the outer layer is UV-stable to help maintain the original color for long. One more thing; the Elkay is compatible with a minimum cabinet size of 30 inches. When looking for a new undemount sink, you want to be sure that you’re getting value for your money. Most importantly, you have to pick a sink that can meet your needs. Here are the most important considerations to make before you spend your cash. This one goes without saying, right? Yes. You’re better off with an undermount sink that is large enough to allow you to clean your dishes and fill your pots comfortably. Also, it has to fit in your kitchen’s cabinet. In fact, your cabinet plays an essential role in determining how big or small your sink will be. A good model should be broad enough to handle your pans and pots. If you have a small kitchen, say 150 square feet, choose a standard unit with dimensions of 22 by 24 inches. For a larger kitchen, consider picking a sink with two or three bowls. Don’t forget to check the depth. 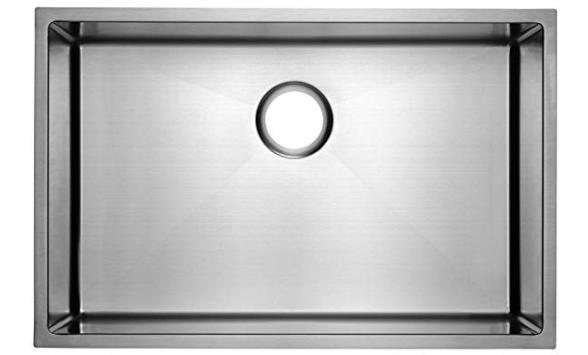 Most undermount sinks are made using stainless steel, with the thickness measurements in gauge. In simple terms, the lower the gauge, the thicker the steel. By extension, this translates into extended durability. Of course, you’ll get more value if you choose a lower gauge. That way, you will reduce the dents and the dings. We recommend that you stick to 18-gauge and below. More often than not you will need to place hot pots and pans on your sink. You, therefore, need to invest in a model that can handle the heat. All the units we’ve reviewed above offer reasonable heat resistance. A resilient sink will not last for long but will also maintain a clean look for years. While it may be difficult to tell if a specific model is heat resistant or not, you can always read user reviews to get a glimpse of what the sink you intend to purchase has to offer. You don’t want a sink that will keep making noise every time you’re cleaning silverware, do you? Besides, water running down your faucet can generate unnecessary noise. Sure, the gauge of your sink’s steel can have an impact on the level of noise but you shouldn’t by a unit that doesn’t have a feature to control the level of sound. Choose a sink with sound pads and insulating foam to keep noise at bay. 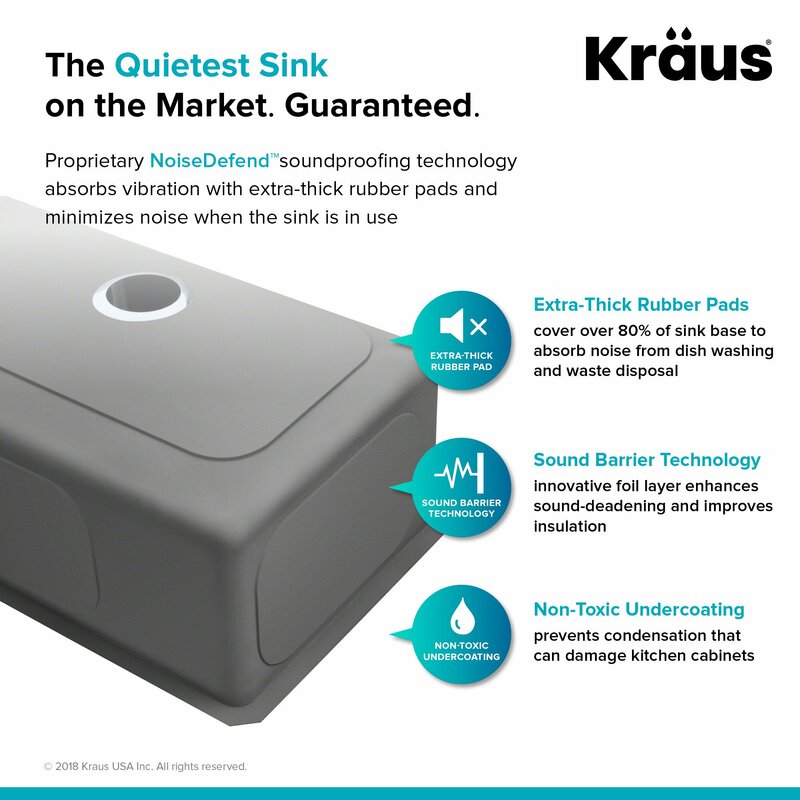 Some, such as the Kraus Standart PRO use special technology to keep noise levels as low as possible. The best undermount kitchen sink should be attractive, modern and stylish. You want a model that can complement how your kitchen looks and blend in perfectly with the rest of the decor. If you’re buying a stainless steel sink, you need to look beyond the glossy or polished finish. Indeed this sparkle will add shine to your kitchen, but it is tough to maintain. Remember, the finish will get soiled by smudge and fingerprints. For easy maintenance, consider satin or brushed finish. These hide water spots and scratches in comparison to their stainless steel counterparts. Also, pick a sink that is smudge proof and one that is easy to clean. You want to know that you can pour wine or ice on your sink without affecting its strength. On top of that, invest in a model that is rust and corrosion resistant. When buying any kitchen appliance, you can only get what you can afford. The case, however, is a little bit different with undemount kitchen sinks. The truth is; you will hardly find a model that can handle the beatings of everyday use on the cheap. If you want something that will last you long enough, consider investing a high-end model. It is essential to note that high-end here doesn’t mean splashing thousands of dollars for a best kitchen sink. 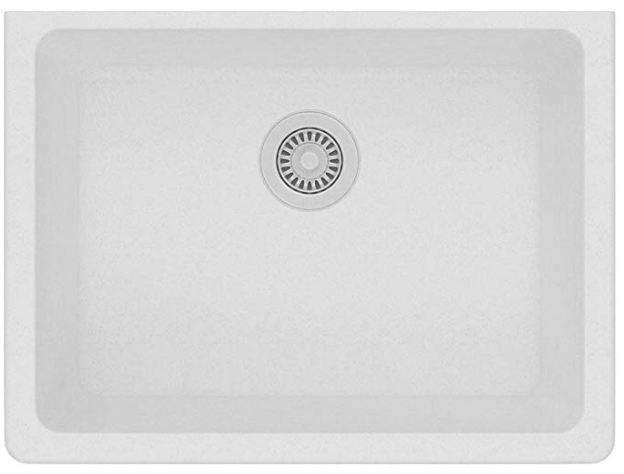 The sinks we’ve reviewed above will offer excellent usability and function without somersaulting past your budget. One more thing; ensure that the sink you choose meets all the set safety standards. In other words, the outer layer should be lead and BPA fee with certification from bodies such as ANSI, ISO, and the likes. And of course, you’re better off knowing what previous owners think of the sink so be sure to read a couple positive and negative user feedback. We hope that you did indeed enjoy reading our undermount kitchen sink reviews as much as we did penning them down. In fact, we trust that you have selected a sink that is in line with what you want already. We will keep our eyes on the market time after time, and in case a see a model that it worth being on this list, we shall add it immediately. In other words, we want to make this your to-go-to resource when it comes to anything undermount kitchen sinks.